Ok, so I've been crafting really slowly through my 200 cards. Mostly I've been sick with this stupid virus that won't go away. Also, some of the cards I've made were for calls and I like for those to be perfect so I don't just slop them together. Finally, the point of the self challenge is NOT for me to bust through as many cards as I could as fast as I can. The point is to use the supplies I have and re-discover all the wonderful things that are already hiding in my scrap room. But today, I decided to bust some cards out. What can I say? Some days, I feel like making a bunch. Plus, we didn't do much today so I had plenty of time. I did take a nap, I am trying to recover from this darn thing but I can't seem to kick it. Anyhow, today I pulled out some Bella Blvd paper that has gone long neglected and brought up a bunch of sketches. Here's a few of the cards I came up with. 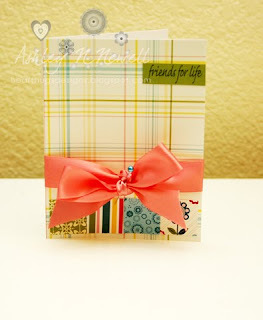 This first card is for my friend Tenia's Jazzy Paper Designs Inspiration challenge. I want to say I've played along with this challenge before but I'm not sure. (Sorry, Tenia!) So, here's my take on her challenge this week, it's a sketch. All the paper is Bella Blvd Plastino, the ribbon is MFT, the stick pin is Dritz. This card is using the Card Patterns sketch for this week. This uses Bella Blvd's All Inclusive line. The only things I added are the dew drops and the kraft card stock. This last one is another one for the EBtKS challenge. I like the sketch, it's so easy to use! I added some pearls to the flip flops and that's about it. These are all so cute! Thanks for playing with us in the EBTKS challenge! I need to use more of the supplies I have too, Thanks for the reminder! :) Praying you feel better soon! WOW! You Go Girl! Your cards are amazing and so inspiring. All of these cards are all awesome!!! Thanks for playing in the Art Blakey Inspiration challenge over at Jazzy Paper Designs!! Great cards Ashley! That last one is extra fab and perfect with that kraft base! Great cards Ashley! 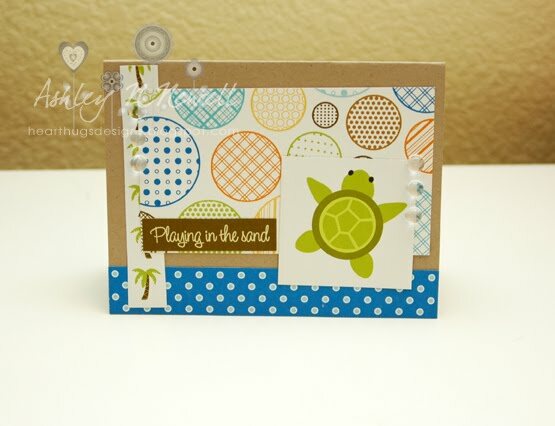 Thanks for playing Jazzy Paper Designs! Wow! You go girl! Send some of your mojo my way!!! Wonderful take on the sketch! Love the colors and patterns too! 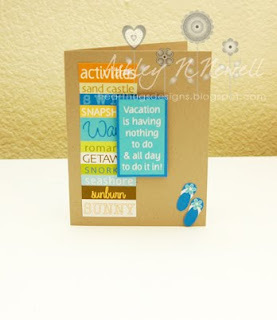 TFP Jazzy's Paper Designs this week. Hope to see you again for the next challenge. Very nice. All of these turned out cute! These are so sweet! I love the kraft bases and fun colors you used. So glad you could play along with us at Card Patterns.